So you're looking for kitchen remodeling companies near you to help with an upgrade or makeover project? Let us help connect you to the right pros. After all, you'll want to get multiple quotes from experienced kitchen renovation services to understand the costs and requirements and to get answers to all your questions before any demo begins. 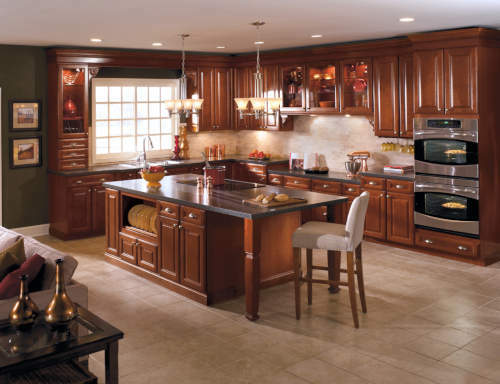 Enter your zip code to be connected to prescreened kitchen remodelers in your area who are ready to work on your project. "Great company to work with. Thank you remodel USA for our beautiful kitchen"
"Kevin and Ali were very responsive. They provided solid design guidance for our kitchen remodel- new cabinets, quartz countertop, brickstone backs plash and lighting. The installation was efficient, timely and very professional leaving us with a kitchen that we are very pleased with. They were very responsive and easy to work with and we love our new kitchen." "Dream Design's workmanship was outstanding, the materials were of high quality. and the price was very reasonable. They paid excellent attention to us and to every detail of the remodel. The final result was beautiful and they left the home in pristine condition. We would highly recommend them for whatever work you want done to your home. We intend to use them again." " Sirous worked tirelessly with me from the initial contact through the entire remodel and renovation of my 1950s kitchen and a very old addition. This was a complete gut job including removing a load bearing wall in order to open up and enlarge the footprint of the kitchen. Entirely new layout of the kitchen, new plumbing and electrical, cabinets, countertops, and kitchen island. Old paneling was removed throughout the entire addition, very old sliding glass doors and windows were removed and replaced with new doors, walls, etc. New drywall installed in ceilings and walls and the entire space finished and painted. The concrete slab floor of the addition was lower than the rest of the house and his team was able to level out the floor and lay the new wood floor throughout the entire space. You would never know there used to be a transition. Family and friends say that this is an amazing transformation. Sirous helped me realize the vision I had for the remodel and was someone I thoroughly trusted with this project. This was not an easy project, His team are all true professionals who impressed me with their workmanship, craftsmanship and work ethic. They were very friendly and easy to work with as I made changes and additions to the project. You cannot go wrong hiring SM Construction, LLC. for any project big or small. They are the only company I will hire for future projects and I highly recommend them. SM Construction, LLC "
"Rudy did a really great job on my kitchen"
"Joe worked with us to scope the project in accordance with our budget and without compromising quality. His team was professional, and we are very pleased with the results." "Excellent work was done fast. Clean up was good. The supervisor and the workers were kind and stuck to the task at hand. The windows look great and we notice a difference in the temperature in the house. We are now able to get by with just the use of space heaters. Saving us on our gas and electric bill. I would definitely recommend Remodel USA to anyone who needs home improvement."